In 1991, Newcastle were straddling the abyss. It is borderline unthinkable that a club of its immense stature and tradition lay rock bottom in the Second Division, peering over their shoulders anxiously at the third tier of English football and spiralling out of the sport’s consciousness altogether. The football itself was a point of depression for the Toon Army. Under Ossie Ardiles, the team were hopelessly bereft of ideas on the pitch and fans left St James’ Park most Saturday afternoons confused and exasperated. There was further dismay in the boardroom, a darkening situation that mirrored the suffering of the players. The club was haemorrhaging money at an alarming rate and the only messages coming from the hierarchy were disgruntled rumblings that failed to hide the deepening crisis gripping the club. Enough was enough. That was the consensual feeling on Tyneside. That sentiment was shared too by Sir John Hall, an entrepreneur and property tycoon who decided the apocalypse was nigh and that he was the man to oversee a reversal of fortunes. Hall, coming through the other end of a bitter battle with former owner Gordon McKeag, bought 79.2 percent of Newcastle United for an estimated £3 million and pledged to propel the club to brighter days. One of his first major decisions was to sack Ardiles. The Argentine had dug himself an inescapable hole with the results he produced. The former World Cup winner’s vision could perhaps be admired, but he became the principal victim of a sweeping changing of the guard at Newcastle United. He placed his faith in youth talents such as Lee Clark, Steve Howey, Steve Watson and Alan Thompson and built a philosophy directed at the long-term. However, with Hall desperate to mastermind an immediate renaissance, Ardiles was never going to be afforded the time he required to truly build. Ardiles was sacked after losing 5-2 to Oxford United in a result that condemned the Geordies to the bottom of the Second Division. The managerial hot-seat at St James’ Park has long been viewed as a poisoned chalice but Hall was determined to transform that image and restore confidence once again within the club. The answer was Kevin Keegan. A daring and sensational appointment, the Newcastle hierarchy hauled Keegan in from the cold – he had been out of football since retiring eight years earlier – and charged him with the task of rejuvenating the club. The announcement of the former Liverpool and Newcastle player prompted a great response from the fans. Was this the man to finally restore the glory years at the club? Amidst the excitement that Keegan was returning to football, however, there was profound apprehension. This was a man, after all, who had zero managerial or coaching experience and who had always played down the possibility of him becoming a great leader from the touchline. How could Tyneside, considering their relentless hurting at that time, place their belief that Keegan was the man for the job? They soon found out in emphatic style. In Keegan’s first match in charge, he attracted 30,000 to the stadium for a 3-0 win over Bristol City and with that, the genesis of the ‘Geordie Messiah’ was laid. Keegan’s formative months in charge were far from serene but, aided by assistant Terry McDermott, Keegan got the job done and saved the club from relegation by four points after winning their last two games. Their final game was a last-gasp victory over Leicester City, a performance that gave an early indication of the drama and excitement in the years to come. The next season, Keegan really began to captivate the Toon Army by assuredly leading them to comfortable promotion to the big-time Premiership, which had been born in the 1992/93 campaign. It was a whirlwind first year in charge for Keegan. After saving the club from the ultimate indignity of falling into the Third Division, he catapulted the Magpies into the Premiership where they would rub shoulders with Manchester United, Arsenal and Leeds United. There was a genuine belief around the club, as their maiden voyage in the Premier League beckoned, that Keegan was building something truly special at the club. He oversaw Peter Beardsley’s return to the club, something which proved to be a masterstroke. Beardsley had previously played for the Magpies between 1983 and 1987 before being sold to Liverpool. Beardsley’s return gave Keegan a dynamic and potent strike force as his other weapon was Andy Cole, the young forward who was consistently displaying an insatiable appetite for goals. Cole scored 34 goals in the top flight and collected the PFA’s Young Player of the Year award after blowing away the competition. Determined to make European football a reality, Newcastle finished the season strongly, winning 10 of their last 14 matches to claim third place. The ‘Great Entertainers’ had lit up the Premier League with attacking football and Keegan had successfully re-established the club as one of the country’s elite, becoming something of a sacred figure in the north-east in the process. Keegan knew exactly how he wanted his team to play. He was remarkably focused on forming a side completely equipped with technically proficient footballers. Everyone had to be comfortable in possession and have the capacity to flourish in his system which emphasised passing football. The Messiah had a mantra which would simply translate as attempting to outscore the opposition. He accepted that his philosophy would lead to defeats and the concession of goals but he took this in his stride. Keegan, famed for his legendary partnership with John Toshack at Liverpool, and unlike several current Premier League managers, believed in a great attacking partnership. Beardsley and Cole worked wonderfully in tandem, netting 55 times between them in their first season together. For Keegan, this was a clear demonstration of his system’s benefits. Although he built a team of talented Englishmen, Keegan still wanted to instil a continental zest in his squad and brought in players like Philippe Albert from Belgium and Marc Hottiger from Switzerland. An alien sense of optimism suddenly spilt down from the terraces in the build-up to the 1994/95 season, with some ambitious sections of the Toon army entertaining thoughts of a tilt at the title. 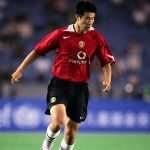 The club were undoubtedly in the ascendancy and they looked, along with Blackburn Rovers, the likeliest candidates to put an end to Manchester United’s early dominance in the Premier League. As it was, Blackburn – led by another Liverpool legend in Kenny Dalglish – claimed the title in May 1995 after a thrilling battle with Alex Ferguson’s men. Blackburn had done what Newcastle were supposed to do. Keegan’s men, failing to capitalise on a promising start to the campaign, had faltered and could only muster a sixth-placed finish, watching on as the Dalglish’s Lancashire heroes lifted the trophy at Anfield. Cracks were appearing and the tension was rising. All was not well at Newcastle during that season. But it was nevertheless a defining one for Keegan and his troupe. Inarguably, the most unforgettable moment of that stuttering season was the sale of Cole to Manchester United. The fans were inconsolable. Newcastle’s goal-machine and prized asset was pried away from them by United, the bitter enemy. It was a tough sight to watch the most dangerous striker in the league added to the ranks of the strongest team and many wondered how, with the increased firepower now at their disposal, United could be toppled. However, despite being unforeseeable to most, Cole’s departure proved to be an inspired move by Keegan and the club. The continued precarious financial situation at Newcastle forced them into parting company with Cole but the purchases of David Ginola, Les Ferdinand and Keith Gillespie eradicated some of the panic that had surrounded Cole’s acrimonious exit. 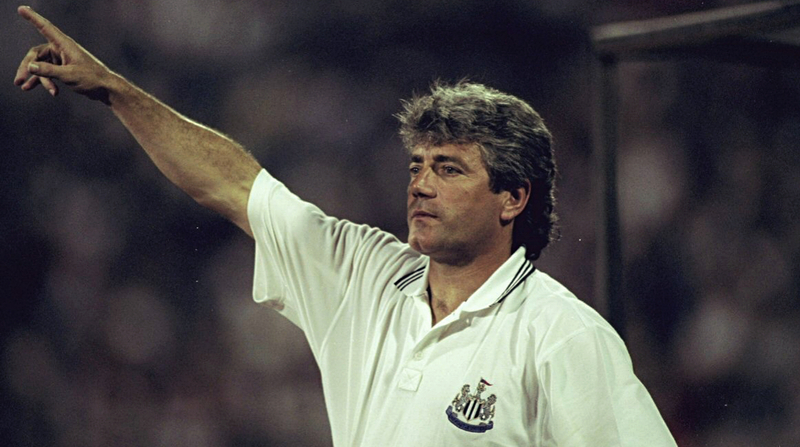 Cole left in January 1995 and Newcastle’s league form inevitably suffered but Keegan weathered the storm and planned for the future. At the season’s completion, along with the aforementioned trio, Shaka Hislop and Warren Barton were drafted in and Keegan believed he was armed with a squad formidable enough to repeat Blackburn’s heroics and bring the most prized possession in English football to St James’ Park for the first time since 1927. Indeed, the 1995/96 season went down as one of the most exhilarating, gripping, emotionally exhausting and, ultimately, heart-breaking years in the history of Newcastle United. Keegan, the pioneer of England’s most electrifying team, went above and beyond to ensure that the Magpies were crowned champions. It was a dream, a labour of love and an extreme demonstration of the stresses involved with managing a top-flight football club. It was a season that flew out of the blocks for Newcastle. By the end of October, the Geordies had maintained a 100 percent home record and only dropped four points away from home, giving them a two-point advantage over the Red Devils. A momentous 2-1 victory over Liverpool at home got November off to a flying start and it was followed by a well-fought 1-0 triumph over champions Blackburn. Keegan became increasingly infatuated with ousting Fergies’ men and securing his status as a legend on Tyneside. It was a titanic battle that hypnotised and enthralled the watching football world. Keegan’s men, through some spectacular form, opened up a 10-point advantage over their rivals and looked favourites to end the season on top. The thought of it was riveting for a set of fans who had never watched their club lift a league trophy in their lifetime. Keegan signalled his intentions to stay on top by dipping into the transfer market, purchasing maverick Colombian Faustino Asprilla and David Batty for a combined sum of £11 million. It was a further injection of talent to a squad already brimming with it. Ginola had been a revelation and grew to become a cult hero in the north-east. His skill, shooting and flair were integral to a team centred on attacking impetus. But it was not a side merely recognisable for their individual talents; it was a side which screamed of rapidly crystallising team chemistry. There was an indestructible togetherness inside the dressing room and for the players, it was a truly special time of their careers. Unfortunately, the fairy-tale was about to crash and burn in circumstances so spectacular and cataclysmic, the likes of which have not been equalled since. The opening scene of Newcastle’s almighty unravelling occurred on a crisp Monday evening at St James’ Park. It was Newcastle’s date with destiny against Manchester United. The magnitude of the match could not have been exaggerated. Newcastle, standing on the cusp of immortality, faced their nemesis in a title showdown that promised to swing the momentum in favour of the victor. St James’ Park was a sea of black and white, and the home fans were feverishly excited for the match to begin. There was to be no false pretences here, the Newcastle fans wanted their men to batter Fergie’s Red Devils into submission and crush their title hopes. The stadium was a cauldron of ear-splitting roars and cheers as the first-half was played out at a frenetic pace. Newcastle dominated. Shot after shot, the Magpies could not force their way past the impermeable Peter Schmeichel in goal for the away side. The bombardment on United’s net was torrential and relentless, but the Danish stopper ensured Keegan went into the dressing room at half-time irritated. The second-half continued in the same manner until Eric Cantona, Manchester’s own Messiah popped up and drilled home a goal to nick the win and gift three precious points to Ferguson. The body blow was immeasurable. Keegan and his men were speechless. The Reds had closed the gap at the league’s summit to a single point – albeit Newcastle had a game in hand. Much like the finale to Christopher Nolan’s epic film Inception, the dream was beginning to collapse. And as much as Keegan tried to salvage everything Newcastle had worked so hard on achieving, the remaining months of the season were tinged with a veneer of inevitable disaster. Keegan took his dejected men to Anfield and his former stomping ground. Although Keegan collected trophies and successes galore at Anfield as a player, it was in front of the Kop that would showcase his most painful day in football. At the end of a see-saw, riotously entertaining and utterly extraordinary 90 minutes, Keegan sat with his head hung low behind the advertising board, clutching his forehead in disbelief. Stan Collymore’s last-gasp thunderbolt had wrapped up a 4-3 win for Liverpool and plunged Newcastle into despair as Manchester United romped to the title. They came within touching distance. Keegan could feel it, but it slipped through his grasp and played havoc with his mental state. It all came to a head when he produced the most memorable moment of the Premier League era when he incandescently responded to Alex Ferguson’s post-match comments after United’s 1-0 win over Leeds at Old Trafford. Ferguson diverted attention away from his own side’s performance by saying that Howard Wilkinson, Leeds’ manager, deserved more from his own side. “I can’t understand the Leeds players. I’m absolutely in support of their manager. He doesn’t deserve his players. If they had played like that all season they’d be near the top. They raised their game because they were playing Manchester United. It was pathetic. I think we can accept any club coming here and trying their hardest, so long as they do it every week,” Ferguson snapped. Nobody can ever regard Keegan’s efforts as half-assed or ponderous, but he ultimately failed in the pursuit of what would have been his greatest managerial achievement. Despite Keegan’s accelerating troubles, Newcastle squeezed an admirable 1-0 victory from their fixture against Leeds. However, United’s wins in the last two games coupled with Newcastle’s failure to beat Nottingham Forest and Tottenham Hotspur confirmed Manchester United as the Premier League champions. Perhaps Keegan’s reign can be viewed through the lens of the United and Liverpool losses. Despite playing football of great enterprise and endeavour, they ultimately came up shy and endured moments of devastation in the process. The following season failed to heal the scars. With the added difficulty of incorporating Champions League football, Newcastle once again came up short and finished second to United. Despite capturing Alan Shearer for a world-record £15 million, Keegan was unable to guide his Magpies to triumph. There were flourishes of the ‘Great Entertainers’ for sure – a spellbinding 5-0 hammering of United dished out sweet revenge and a 7-1 demolition of Spurs showed there were still flashes of brilliance in Keegan’s team. However, the spark had gone and Keegan knew deep down that he could not fully recover from the nightmares experienced in the closing weeks of the 1994/95 campaign. 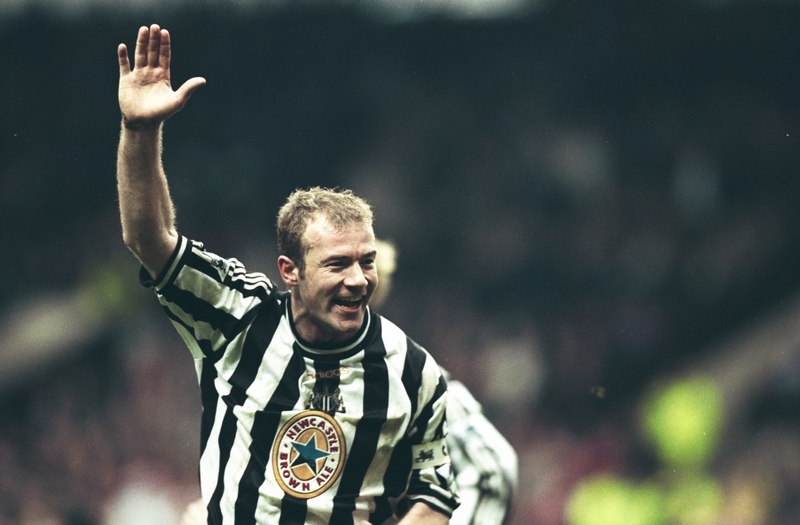 He resigned in January 1997, plummeting Tyneside into darkness. “It was my decision and my decision alone to resign. I feel I have taken the club as far as I can, and that it would be in the best interests of all concerned if I resigned now. I wish the club and everyone concerned with it all the best for the future,” he said in his brief statement. In retrospect, Keegan’s borderline-phantasmal time in charge of Newcastle between 1992 and 1997 can be regarded as one the greatest successes of the Premier League era, but simultaneously can be remembered as one the most bitter disappointments. For a team who lifted the hearts of Tyneside and captured the imagination of the entire footballing community, they were left with nothing. Although the players can proudly recall that period as one of great harmony and ecstasy, it will forever be tampered by a feeling of hollowness, a lament that they could not complete the job. However, it cannot be denied that, at the height of their powers, that Newcastle side embraced football as it should be played: with freedom, style, passion and entertainment. Their memories are not for nothing. They may be tainted with the torment of defeat, but they still represent a truly phenomenal chapter in the history of this wonderful club.